I recently discovered a blog called "Macaroni and Glue". Just the name makes me smile, remembering a Kindergarten Christmas ornament I made of macaroni glued to construction paper and then sprayed within an inch of its life with silver paint. Speaking of Kindergarten -- Kelly showed a clever idea over there (click here!). She made hers for Valentine's Day, but I can seem them done for Easter, Teacher Appreciation, Christmas, birthdays -- believe me, I'm going to try this. So run on over and take a look, and see all the wonderful things she's up to! What a wonderful idea! Nifty. 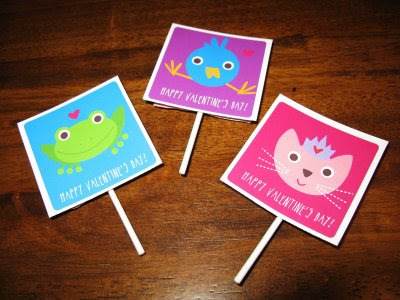 I bookmarked that blog... try this one too - notimeforflashcards.com She has great crafts to do with the kids.